A committee will be appointed on Monday to present recommendations on the restructuring of National Carrier, President Maithripala Sirisena stated today. Accordingly, any interested party shall be able to forward their proposals and ideas on improving Sri Lankan Airline Service to the said committee, President Media Division in a media statement said. The Committee will consist five members and be given a duration of two weeks to present their report to the President. President Sirisena made these observations at a discussion held on the progress of the National Carrier at the Presidential Secretariat yesterday morning. President Sirisena instructed the officials to expedite the restructuring process of the National Carrier as well. Sri Lankan Airlines Board of Directors informed the President that they have taken initial steps to make the service a profit making one. A lengthy discussion was held on the corruptions that have taken place in the service for years, reasons for loss making and the present operations. Attention was given to many agreements that the Sri Lankan Airline Service has arrived at, which are not profitable to the service. 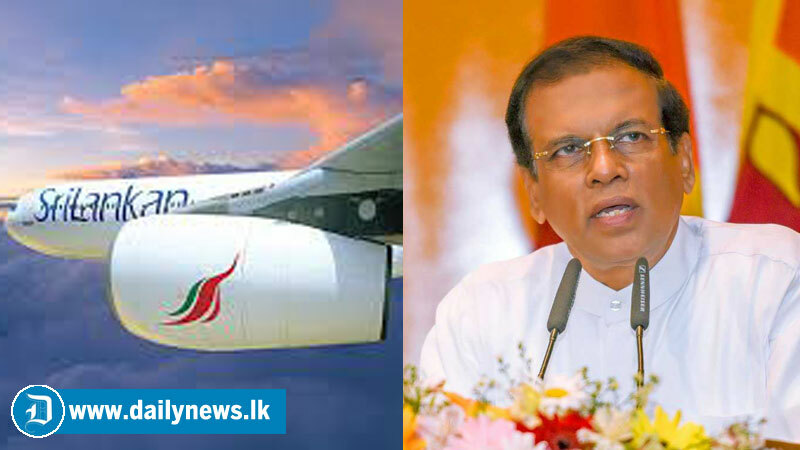 The Presidential Commission of Inquiry to investigate and inquire into alleged irregularities in connection with Sri Lankan Airlines is conducting its investigations at present. Government ministers including Mangala Samaraweera, Harsha de Silva, Eran Wickremeratne, Secretary to the President Udaya Seneviratne, Finance Ministry Secretary Dr. R.H.S. Samaratunga, Central Bank Governor Dr. Indrajith Coomaraswamy, State Bank Heads, Sri Lankan Airlines CEO Vipula Gunatilake, members of the Board of Directors, Trade Union representatives and other officials participated in the discussion.